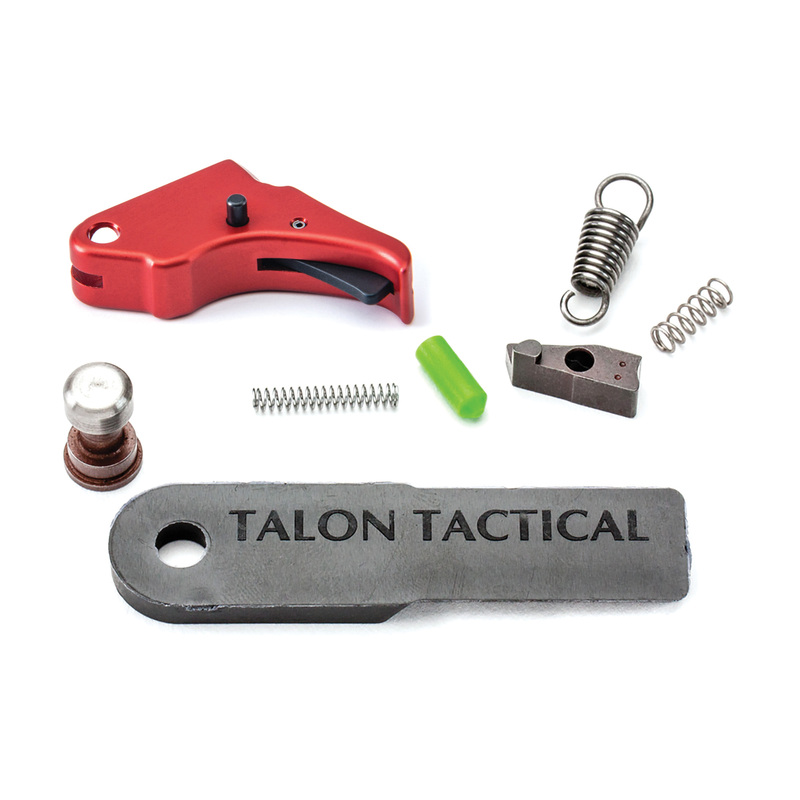 This kit is a combination of the Apex Duty/Carry Kit for the M&P Shield and the Apex Action Enhancement Red Trigger for the M&P Shield. 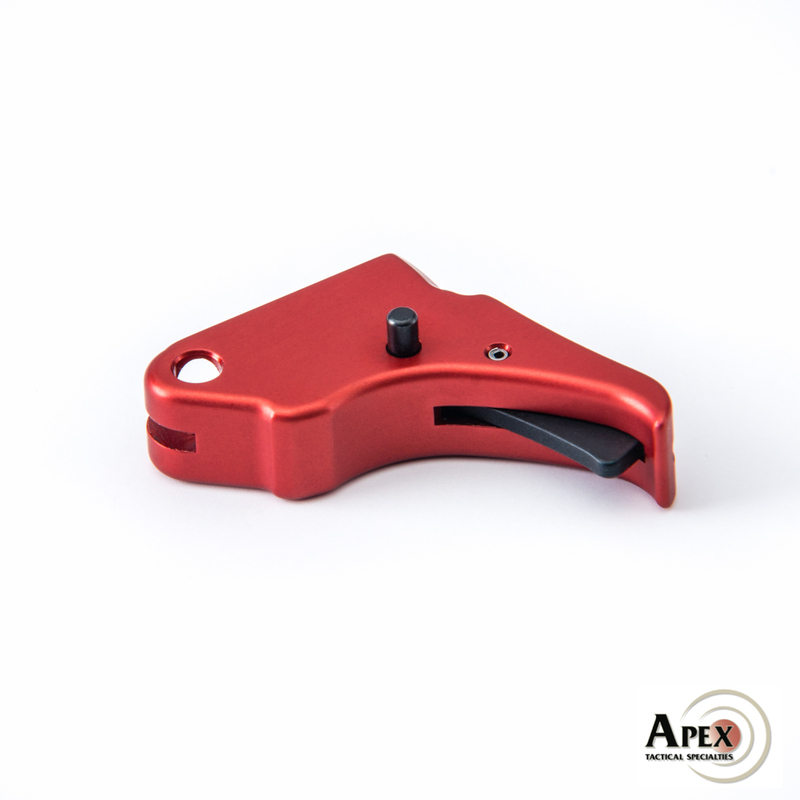 The Action Enhancement Trigger directly replaces the factory hinged trigger with a solid aluminum trigger body which reduces pre-travel and over-travel by approximately 20%. It features a smooth face with a center mounted pivoting safety that maintains factory safety values. The Apex Duty/Carry Kit for the M&P Shield was designed to provide the Shield pistol owner a smooth, consistent trigger pull that is approximately 2 lbs lighter (based on variations in factory tolerances) with the advantages of shorter over-travel and more detectable trigger reset. However, armorer or gunsmith installation of the Ultimate Striker Block (USB) into the Shield slide is strongly recommended**. Works with all Smith & Wesson M&P Shield Pistols in 9mm and .40 calibers. NOT for use in the Shield 45.